With the introduction of Azure DevOps, we’re offering developers a new Git service called Azure Repos. It has unlimited free private repositories with collaborative code reviews, advanced file management, code search, and branch policies to ensure high quality code. Azure Repos is great for small projects as well as large organizations that need native AAD support and advanced policies. Code reviews are one of the best ways to improve the overall quality of your code base and increase shared knowledge across your team. Discussions are the heart of the pull request experience. You can leave comments right in the code and give it some flare with markdown and emoji. Use the Files pivot to see the entire file, not just the code that’s changed, or collapse all comments so you can focus on the code changes. 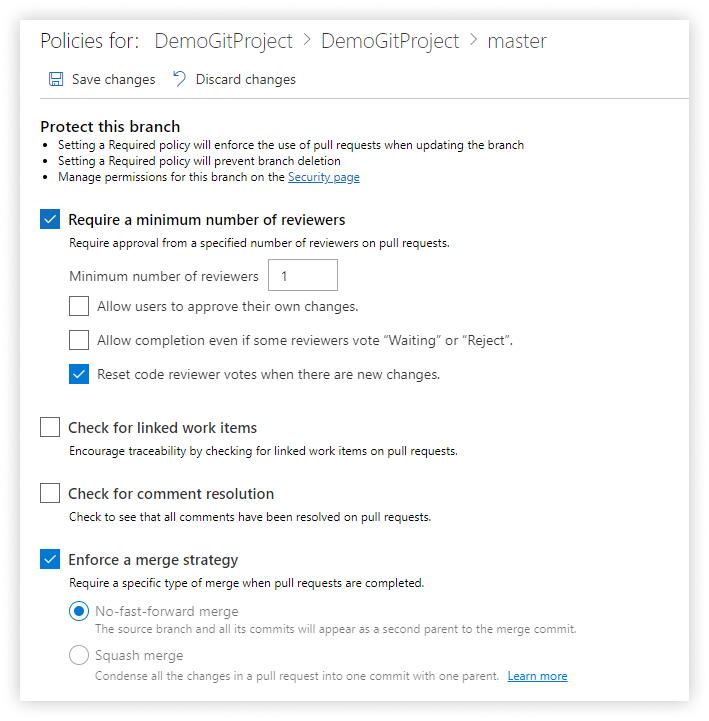 Branch policies help teams adhere to the best practices of your choice. There are many built-in policies, such as minimum number of code reviews, requiring successful builds, and enforcing Git merge strategies. To keep you productive, set your pull requests to auto-complete. That will automatically complete your pull requests when the final status is successful. This is great if you’re waiting on a final reviewer to approve or an automated build to pass. Azure Repos has native integration with Azure Active Directory (AD), simplifying the process of managing access to your code repositories. Azure AD groups make it easy to assign permissions and policies, such as who is a required code reviewer on a protected branch. Granular permissions make it easy to protect code at both the repository and branch level. Manage exactly which users and groups can contribute, create branches, edit branch policies, force push, and more. 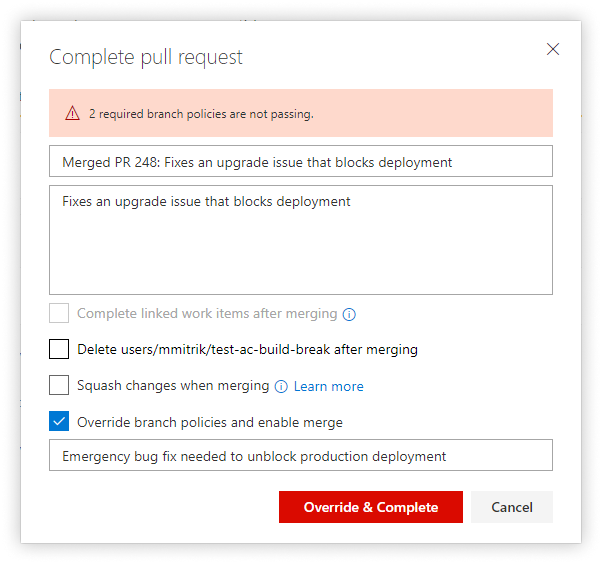 Our option to bypass branch policies enables developers to “break glass” when they have an urgent need to make a code change. Granular permissions ensure that the bypass policy action is limited to select individuals and groups, so it’s used rarely. 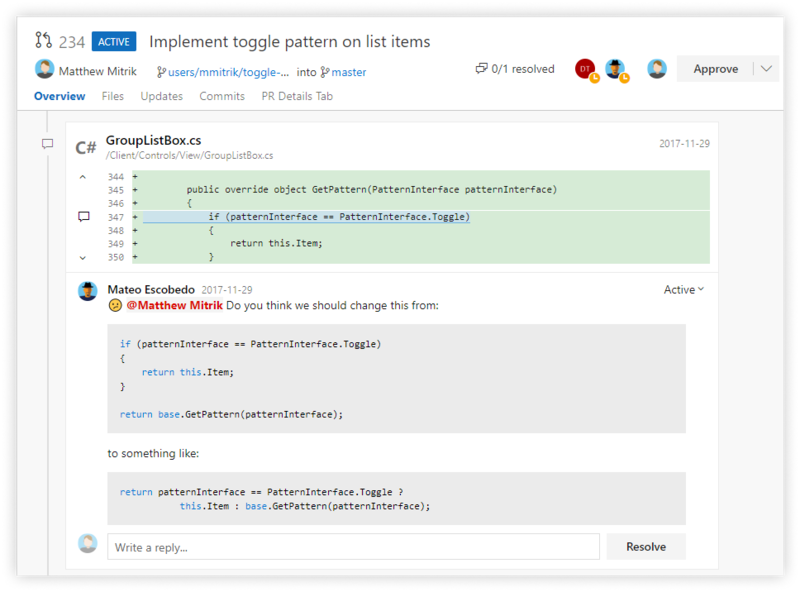 Pull request templates help developers create great pull request descriptions that meet your organization’s standards. Create branch-specific templates to reflect different requirements for development and release branches. Stay organized and simplify policy management with branch folders that leverage branch naming conventions. I’m excited for you to try Azure Repos and tell us what you think. You can share your thoughts directly to the product team using @AzureDevOps, the Developer Community, or comment on this post.